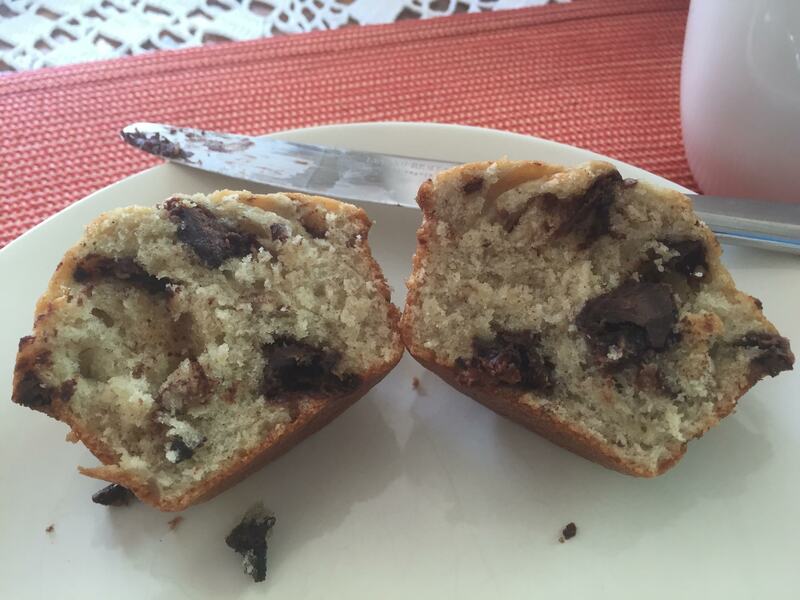 Meanwhile, I made these decadent Banana Nut Muffins with Loacker Chocolate Chunks for a Sunday morning treat. These were delicouso!! This Loacker Cremkakao chocolate bar is super delicious all on it’s own. Loacker is a family owned business out of Italy and their factory is located at the foot of the Alps near the Austrian border. For 90 years they have been making a variety of light and crispy wafer cookies. In fact, they are the number one wafer cookie in the world! This is their first venture into the chocolate bar business and keeping true to their roots, they have incorporated a thin crispy wafer in the center of this decadent chocolate. (Isn’t that cool?) One bite and you’ll be looking for more, which will hopefully be available very soon as these bars are just being introduced into this country. You, spring box buyers, are the lucky ones to taste these first! Stay tuned for where you can buy more as I know you’ll be asking. Meanwhile, I made these decadent Banana Nut Muffins with Loacker Chocolate Chunks for a Sunday morning treat. These were beyond delicious!! In a bowl, cream butter and sugar. Beat in the eggs. Smash the bananas and vanilla together. 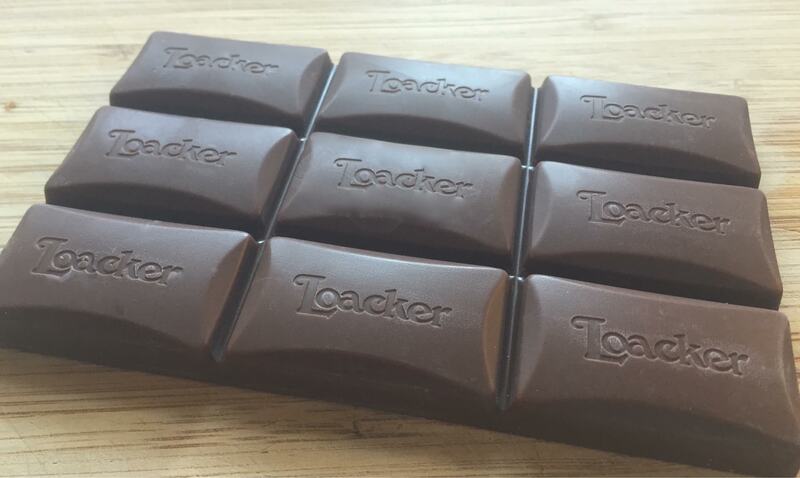 Your chocolate bar should look like this. Sift the flour, baking powder, salt, baking soda, cinnamon and nutmeg together. 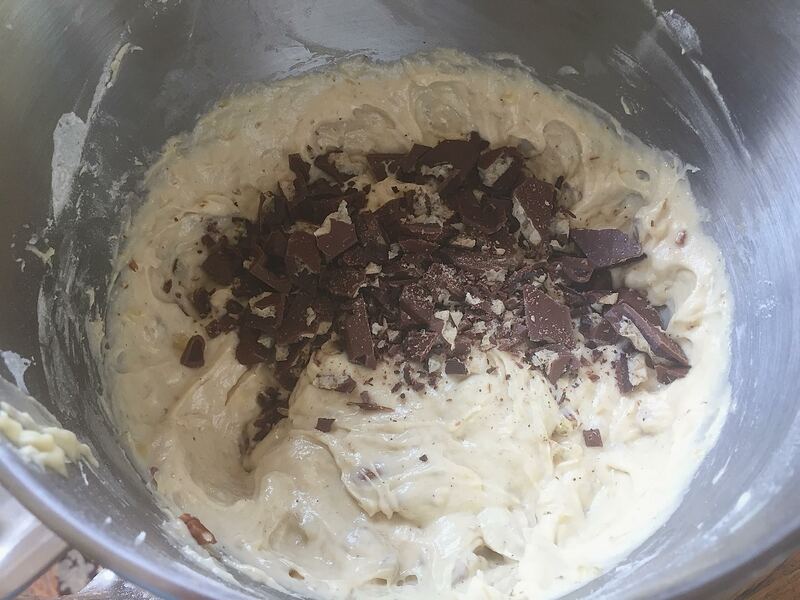 Add to creamed mixture, alternately adding the banana mixture, starting and ending with the flour. 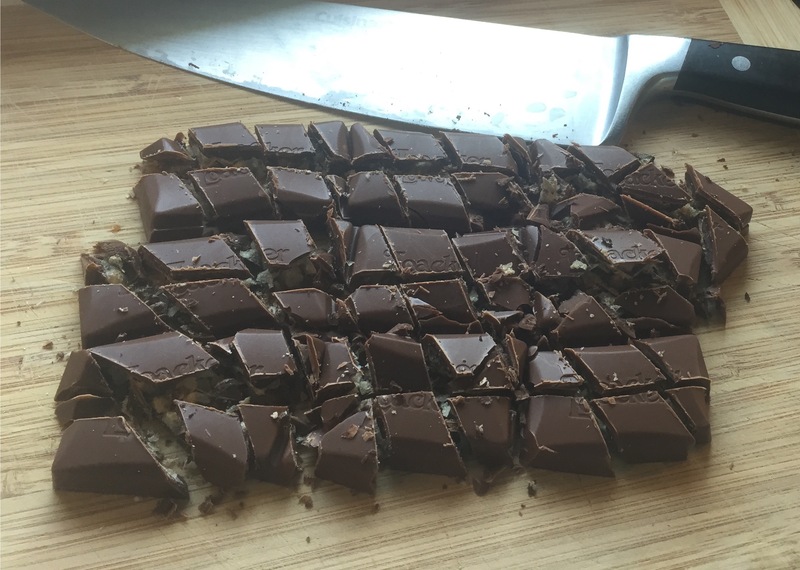 Fold in walnuts and chocolate pieces. Butter non-stick muffin cups or use paper liners; fill 12 cups with batter, distributing evenly. Bake at 350° for 23-25 minutes or until a toothpick comes out clean. Cool for 5 minutes before removing from pan to a wire rack. Serve warm with LOVE. Delizioso!! The Loacker Cremkakao chocolate bar was in our MARY’s secret ingredients spring box. The summer box will mail on June 25th. Mary’s secret ingredients is here!! Exactly Sues!! This chocolate is divine!! Banana and chocolate is my favorite combination. Love these muffins! Thanks Sheryl!! One of my favorite combos too! I love this chocolate. I’ve tasted it before and I fell in love. It’s not available here either but I wish it were. Maybe soon Maureen! They’re working on it. Tandy, definitely search them out! They are so delicious!!! Muffins looks so soft and tasty. It’s a great recipe if I say so myself. Give it a try, Neela!! These muffins look outrageously good and is my idea of perfection! 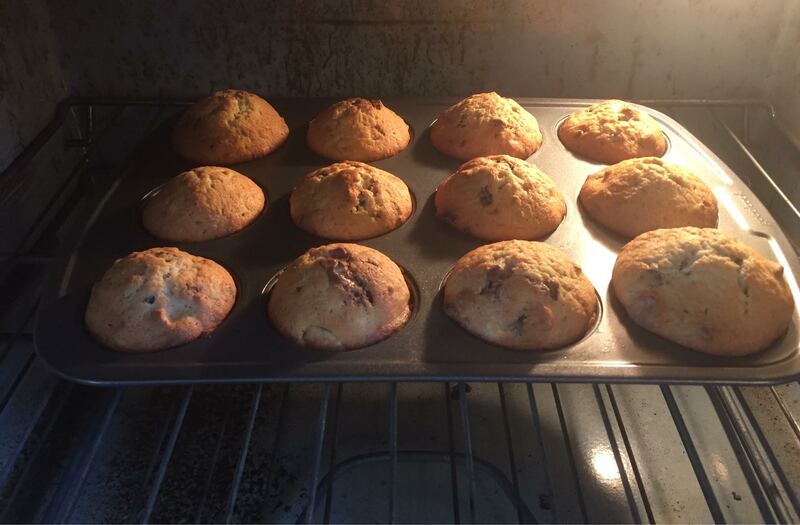 Banana muffins with chocolate chunks? Yes, sign me up! Pamela @ Brooklyn Farm Girl recently posted…What’s Growing in the Garden! 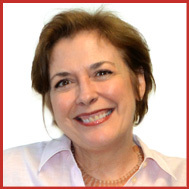 I know Lorraine – pretty decadent – but a very good use for it!! It’s true John, they could be a dessert… but they’re perfect for a Sunday morning brunch!! These muffins would be fantastic to bring to a garden party or as a healthy breakfast on the go! Exactly Angie!! I hope you have a chance to try the recipe. 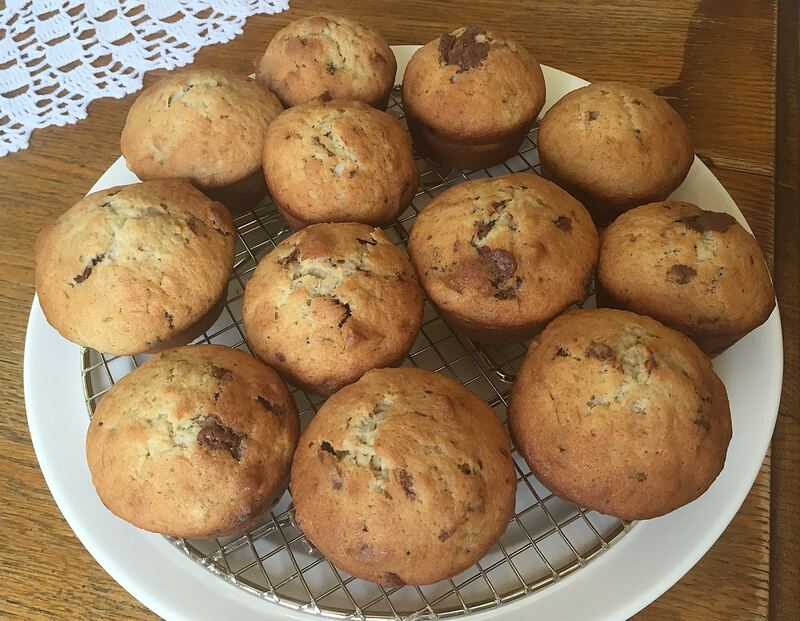 Banana muffins and good chocolate, what a delicious combination! Wishing I had one to enjoy with my afternoon cup of tea! I have seen this chocolate somewhere before, but I can’t pin point where and when. Thank you for sharing this recipe and for giving inspiration! LOVE these muffins! Of course, really good quality ingredients, including chocolate always make all the difference in the world! You bet Christina!! Especially this Italian Chocolate that is just so delicious! !